BBNaija 2019 Reunion: Vandora, Ifu Ennada and BamBam drops Hot Reunion Photo. 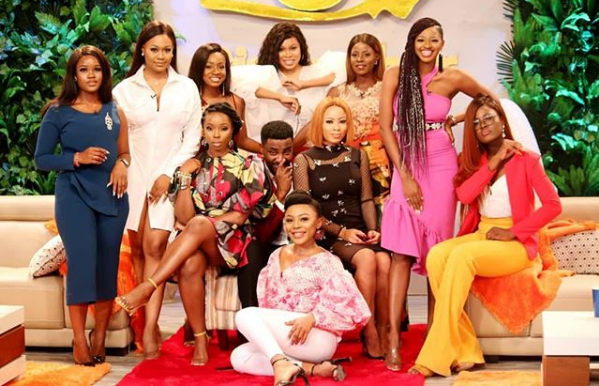 Now that the Big Brother Naija 2019 reunion is back before the start of the BBNaija 2019 live reality TV show, lots has been going on as former housemates of the show keeps social media buzzing with amazing photos from the scene of the reunion. Big Brother Naija 2018 housemate, Vandora, Ifu Ennada and Bam Bam has released hot photos of themselves on social that has attracted lots of comments from followers of the show. Recall that the 2018 BBNaija housemates has went to their separate ways since exiting the big brother naija reality TV show. In a post on Vandora’s official social media pages, she added a caption with the hot BBNaija reunion photo. “Lol… soo cute!! !all different expression!!! Stay connected to this blog as we are committed to serving you latest updates from BBNaija housemates.